To all you why didn’t Trump build the wall and Mexico pay for it? Trump likes to talk I know, but he did cut aid to Central American Countries. He tried to do it to Mexico but Dems stopped him with lawsuits. It was not enough what we give Mexico but would have completed part of the wall. He was talking about the money we would save on Policing the border for illegals and concentrate more on drugs which also would be slowed down by a better WALL. Not eliminated but slowed down, He knows the Govt. would save money by stopping Illegals from re-entering the country It would help with gang members re-entering also as many MS-13 gang members had been deported and came back in to do more crimes. Wake Up and Stand up for America . Shame on Dem Socialist/Communists like AOC /Ilan Omar and Rashida Tlaib, and DumBlasio and Gov, Corruption Cuomo along with Schumer & Pelosi. All LOSERS . Shame on people who vote for these Anti-Americans. Trump is no SAINT but he is for a Americans and America. Why do you think he keeps failing so hard? Were you gullible enough to believe him? All hail JVB! He stopped Amazon and 25000 jobs because he didn’t get his vig. But no problem with this construction. Guess the developers have passed the envelop for the JVB reelection campaign to get a rezoning to boot! Congrats to all those AOC supporters who stopped Amazon in Queens while Google is expanding in Manhattan. Dah…Where do you think all those hipsters were gonna live? No worries…Wait till all those cars avoiding congestion pricing start triple parking in a neighborhood near you….And you honestly believe that congestion toll money will improve transit…lol Check out the bloated MTA executive salaries now…Watch them go through the roof along with the $250000 for Generalissimo Cuomo. Can’t wait for more bike lanes too! Gotta luv New York! Everyone voting for these demorat stunods should be loving all the hikes except income. Tolls or fares never end or decrease. Wow, ranting about JVB, AOC, hipsters, bike lanes, Cuomo, you got em all! It’s like watching a tape of Fox News on fast forward! You forgot to blame illegal immigrants for all your problems though. You sound crazy and very angry. Be happy. Conservatives are always a morose group. They complain about so much, rarely do you see them happy. Let them whine just like their Orange in Chief, he’s such a damn crybaby!!! Queens doesn’t need any more apartment buildings! How many of them will be occupied by people who don’t/won’t speak English who will get Section 8 housing, NYS benefit cards, I.D. cards, etc.? I’m in a rent stabilized (oxymoron by the way) apartment and the trains are crowded enough! We need stores, not more housing. Wait, so we shouldn’t ever build apartments because of unhinged racist rants from Trumptards? Build real affordable housing not all the same looking LUXURY Housing for the well off and RICH ! Not all people who follow Trump are racists. You brand people all the same. WRONG. There are racist Dumb-O-Crats too. Wake up Democrats will lose your country to SOcialism/Communism and illegals you will pay for without a vote . TRUMP STAND S FOR AMERICA AND AMERICANS. NOT ONE DEMOCRAT DOES. 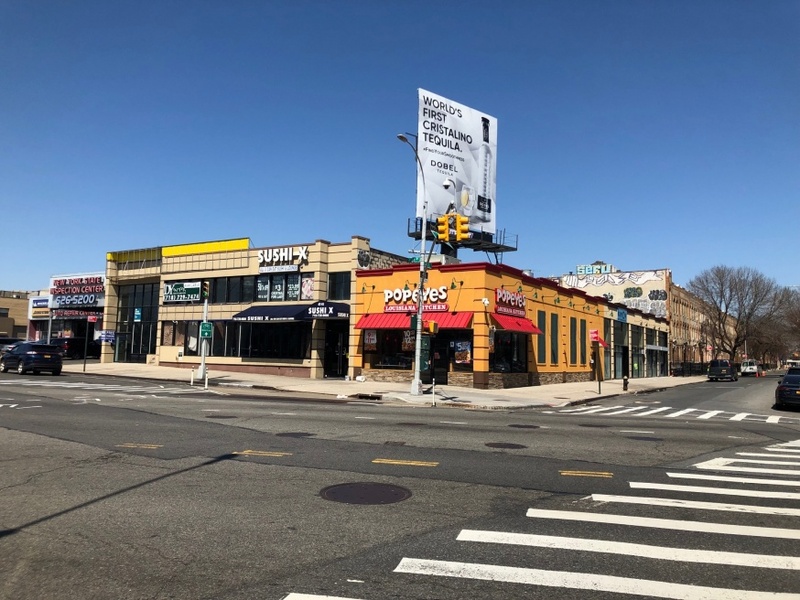 What a shame, one of the best sushi spots in Queens, and one of the only Popeyes I know of, gone for mostly luxury and expensive residences. I apply all the time to affordable housing, I work for the city and don’t make much money but never get picked. This is why there is such an exodus from New York, it’s losing everything people like for more and more buildings. NOPE!!! We are so not going to miss Popeye’s. Love that dysentery from Popeye’s! Well judging by how busy it always is, I beg to differ that many will miss it. I never got sick from either restaurant. The FAKE MRLIC wrote the April 3,2019 comment on luxury condos. In my opinion this should never happen. We need more stores not LUXURY BUILDINGS. 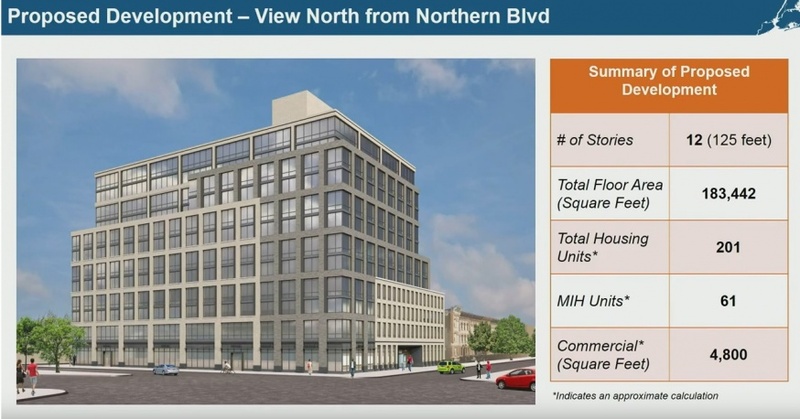 STOP THE BUILDING MADNESS ALREADY> Where is Jimmy Van Bramer when you need him? Wait, you voted for Trump but suddenly you’re “against” people developing condos for the rich? At least have some integrity. AS I have said before, I know what Trump i. I could not vote Hillary or any past or present Democrat that wants OPEN BORDERS. I will not vote Socialist/Communist and that is exactly where the Democratic Party is at right now. Maybe yo don’t want to hear that and are in denial or maybe you want that. I don’t. End Of Story. No democrat has ever wanted open borders. Seeing that you’re completely misinformed explains your sad hypocrisy a little bit. The rich developers have gotten MASSIVE tax breaks from our rich developer president. Thanks for being the problem! Speaking of open borders, why did Trump completely fail to build his central campaign promise: The Great Wall? He said Mexico would pay for it…turns out that was a lie. Then he forced the Trump Shutdown, the longest ever in history, to beg democrats for money. That didn’t work either. Maybe you don’t remember that Dumb-o-crats stopped him from doing anything about the wall. These same losers Schumer and Pelosi who wanted secure Borders before came Trump came in now don’t. OPEN BORDER for sure they want. Socialism 101 is what they want . I can’t vote for that as a American. Are you American????? What do the democrats have to do with it? Isn’t mexico supposed to pay for The Great Wall? What do the democrats have to do with it? Isn’t mexico supposed to pay for The Great Wall? Why was the Trump Shutdown a complete failure? Here is proof why Dems should not be in Power.Dems used to be for American middle class and poor. Now those people won’t vote for them. Nancy Pelosi and Schumer know this. Now they align themselves with Socialist Communists and Illegals and Well off developers . The illegals families some here legally will vote for anything to get their loved ones here. Rich people will profit more with Dems in power. Now Republicans are for the middle class and poor. I used to be a Dem myself and I hear tha a lot from people in print and social media and in person. You’re against politicians that “align themselves with Well off developers”?! You mean…like Trump? The Well off developer? I hope you didn’t vote for him or you would lack all integrity! Dude! It depends on where the buildings are being built! Northern!? There’s nothing there so I welcome it. It’s not like it’s a cute neighborhood. More stores are coming. How will stories survive if there are no people around? This building will generate those sales. You are losing 2 or more stores for this building. The rents for stores are too high and you will not get any. Broadway Manhattan was counted recently with 184 empty store fronts. LIC is fast becoming storeless. We lost a Dominos and Subway and maybe a Burger Garage soon because of Luxury development. 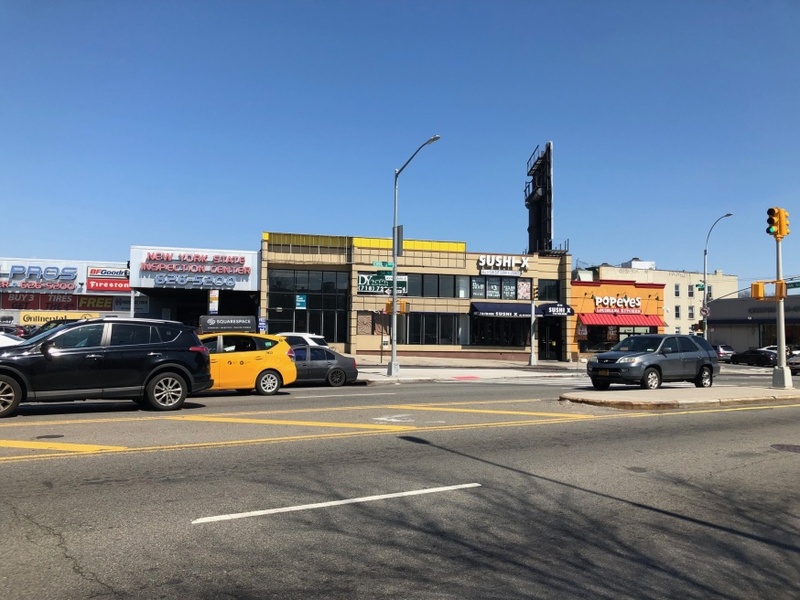 There is nothing inLIC except Vernon Blvd where one store opens and then closes every few months because rents are too high and many are copycat restaurants and stores. One restaurant owner in Manhattan said his rent was going up to $33,000 a month. He can’t afford it and has to close or try and find a lower rent somewhere else. Find me one single example of newly built luxury condos turning into a homeless shelter. There were 2 in 2009 Luxury condos converted to homeless shelters. One in Crown Heights and one on East NY Avenue. With the recent surge in hotels I can tell you one on Queens Plaza (THE VERVE) was turned into a battered women’s shelter a couple of years ago. With hotels being converted 30 that I read about (Not All Luxury like the verve) there is not a need yet to convert these luxury condos. Also the tax breaks they get there is no rush to fill these luxury condos up. There needs to be vacancy taxes put on empty apartments/condos/ businesses. Let them slash some prices and watch these places rent.